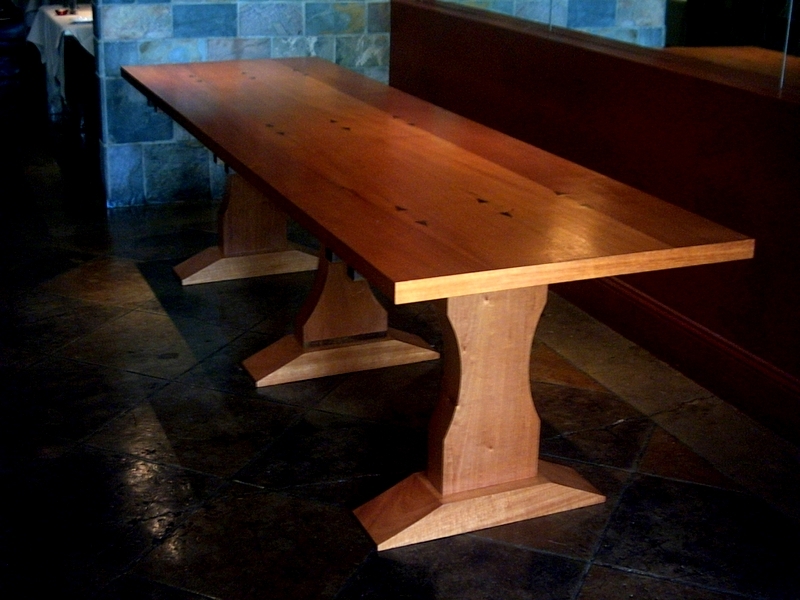 The EcoStruction team created a unique L-shaped design of lush walnut with Spanish cedar inlay. 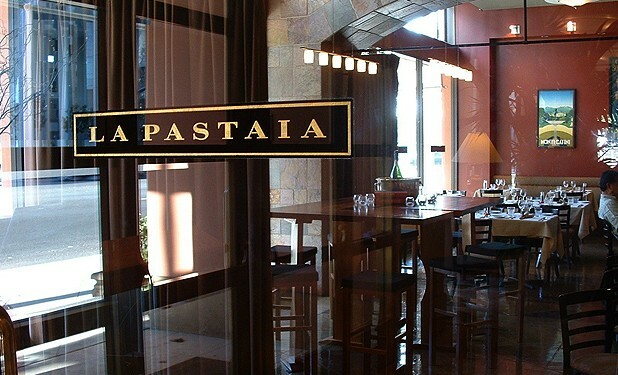 The tables fit together to form a cozy conversation area for casual wine tasting, and are designed to reposition as a U-shaped bar for La Pastaia’s popular wine seminars. 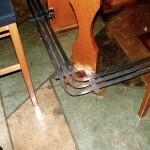 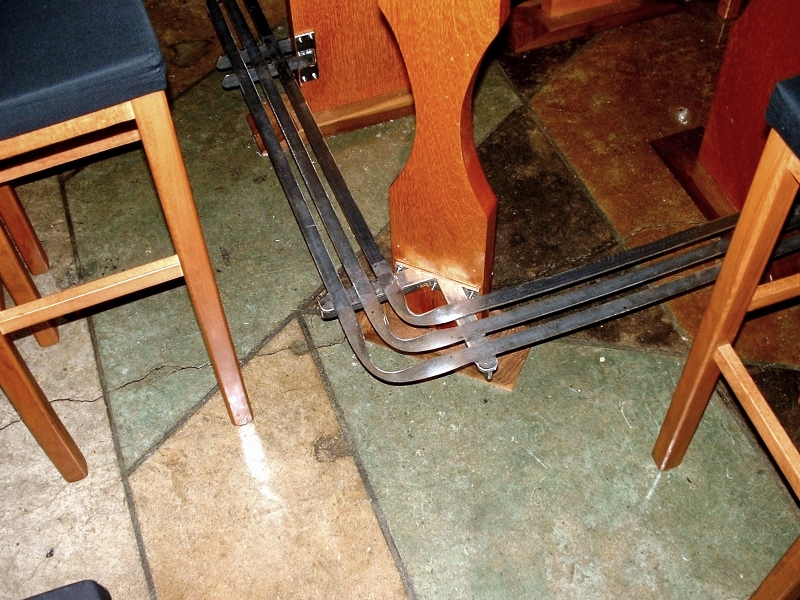 The base of the tables are accented by custom designed metal foot rests. 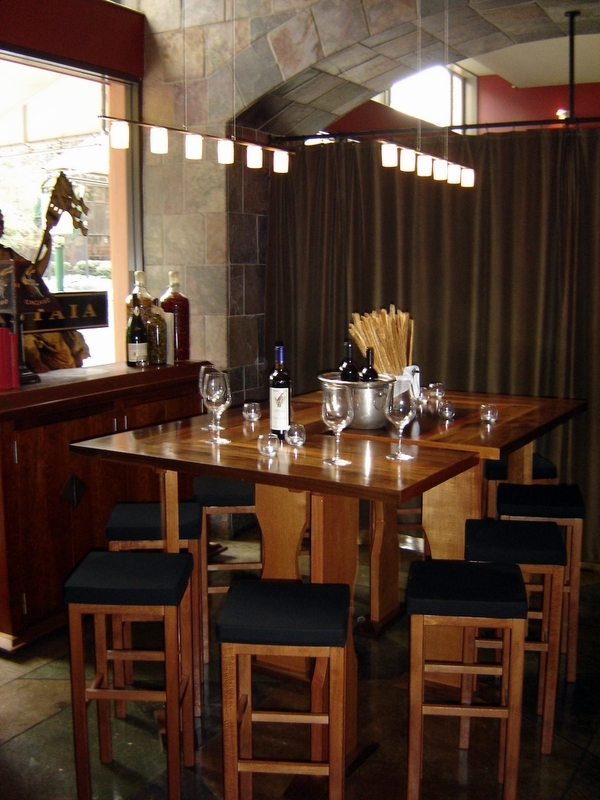 To accommodate intimate twosomes at the Enoteca, hand-crafted small tables built with graceful walnut bases and Spanish cedar tops were created. 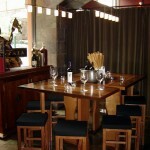 In addition, EcoStruction designed and built the Italian country dining table with room for up to 12 people. 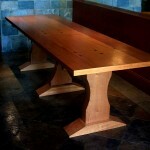 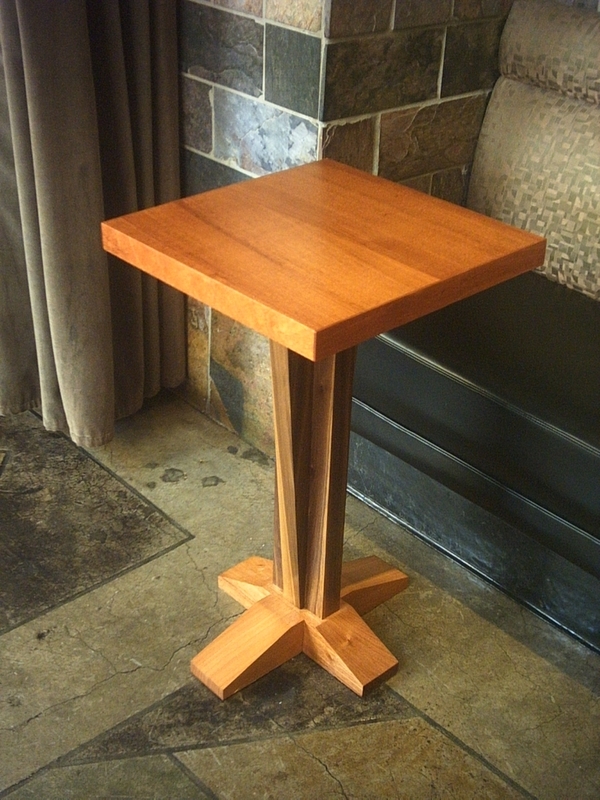 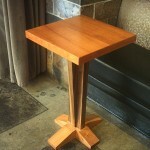 The rich warmth of Spanish cedar with walnut inlay has made this table one of the most popular spots in the restaurant.